493rd “E” Sqn	Capt. Seelman Jr.
381st Low Sqn 1st Lt. Berman? 398th Lead Sqn Maj. Miller Jr.
92nd Low Sqn Capt. Bideganeta? 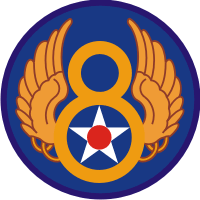 92nd High Sqn Capt. Bennet? 351st Low Sqn Lt. Angelini? 351st High Sqn Capt. Anderson? 389th Low Sqn Capt Skaggs? 389th High Sqn 1st Lt. Arrington?